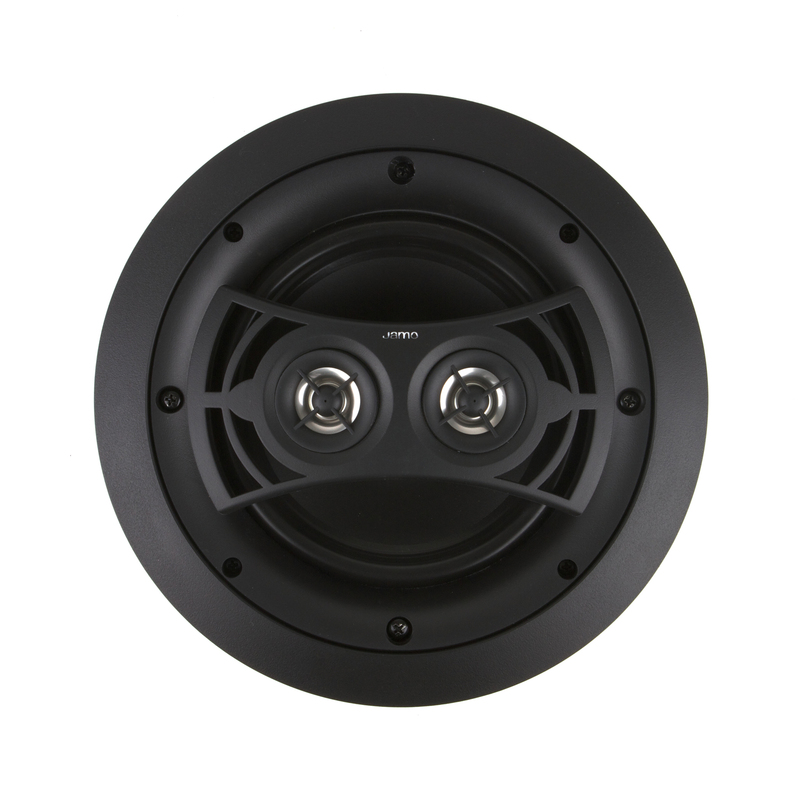 The 8.52DVCA2FG is a 2-way in-ceiling speaker, part of the comprehensive Architectural Series, which consists of high-quality speakers at astonishingly affordable prices. A unique feature of the 8.52DVCA2FG is the ability to deliver top quality sound in damp conditions. For example, in a bathroom you can enjoy 2-channel sound from a single speaker, provided by the DVC design without worrying about the damp conditions damaging the speaker. 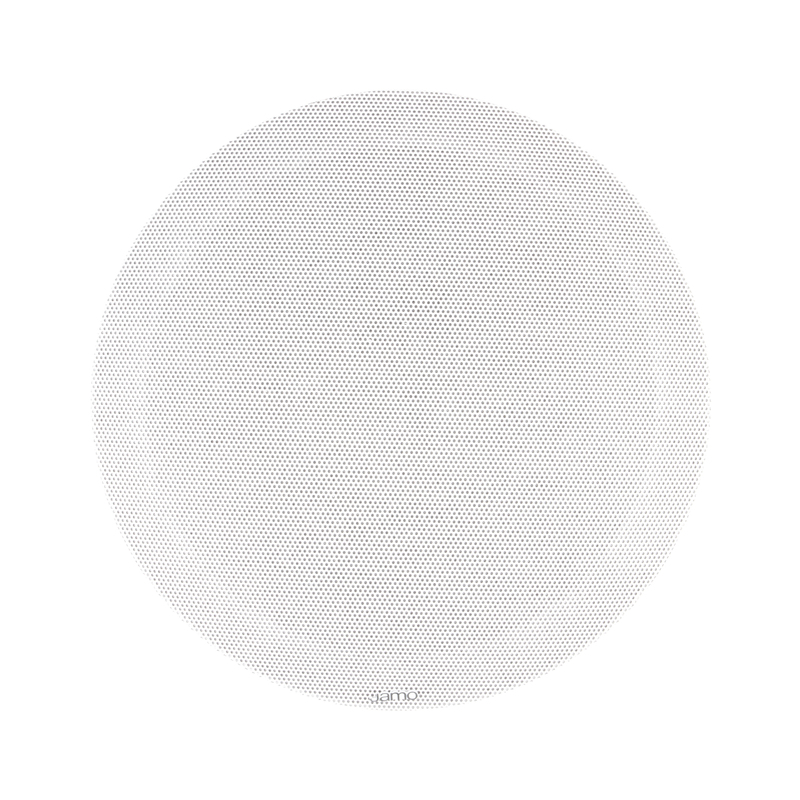 With its paintable grille, the 8.52DVCA2FG is designed to blend seamlessly into the ceiling so all you notice is the remarkably detailed, great sound. 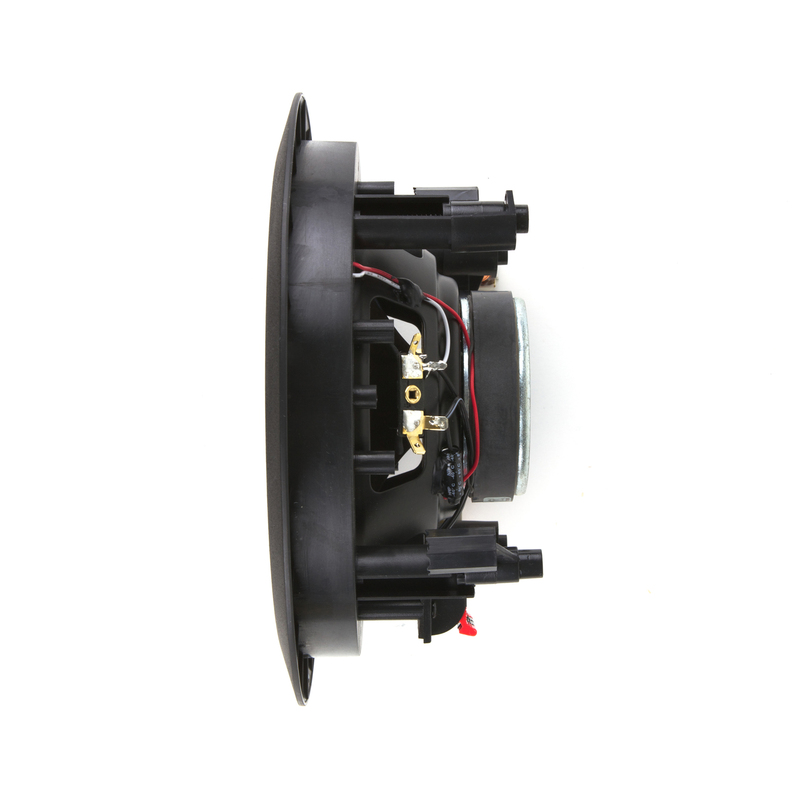 The 8.52DVA2FG features advanced technology, such as the dual voice coil design (DVC). DVC delivers two-channel sound from a single speaker, provided by two quality dome tweeters (the left and right channels are divided between the two). 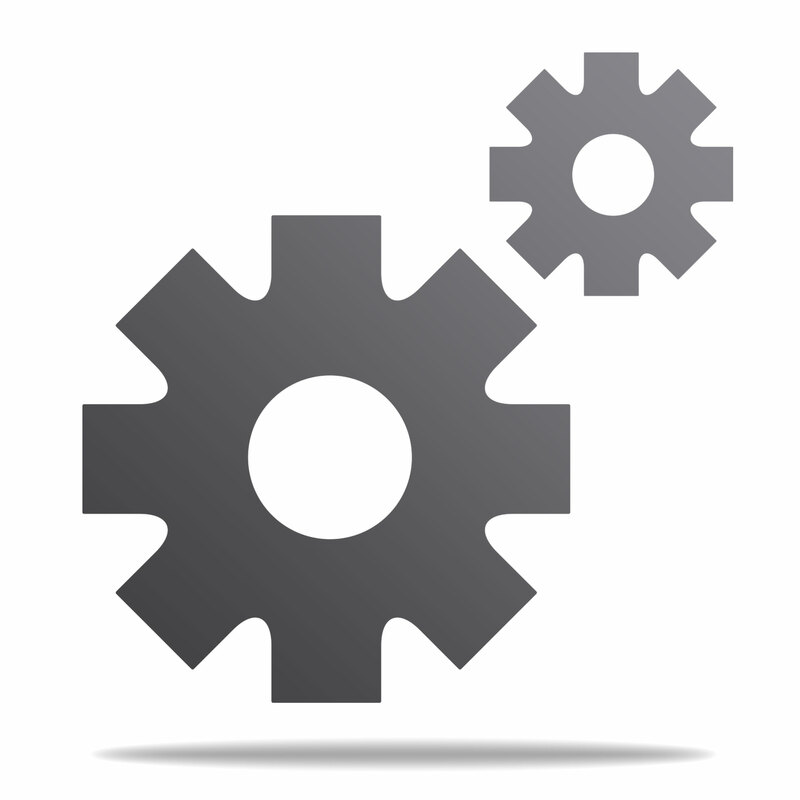 The DVC design is a valuable feature in many everyday situations. For example, when conventional speakers are placed along a hallway, the stereo experience will shift as you move between the right and left speaker. Fitting a pair of 8.52DVCA2FG speakers will eliminate this effect, as you have both left and right channel coming from just one speaker. 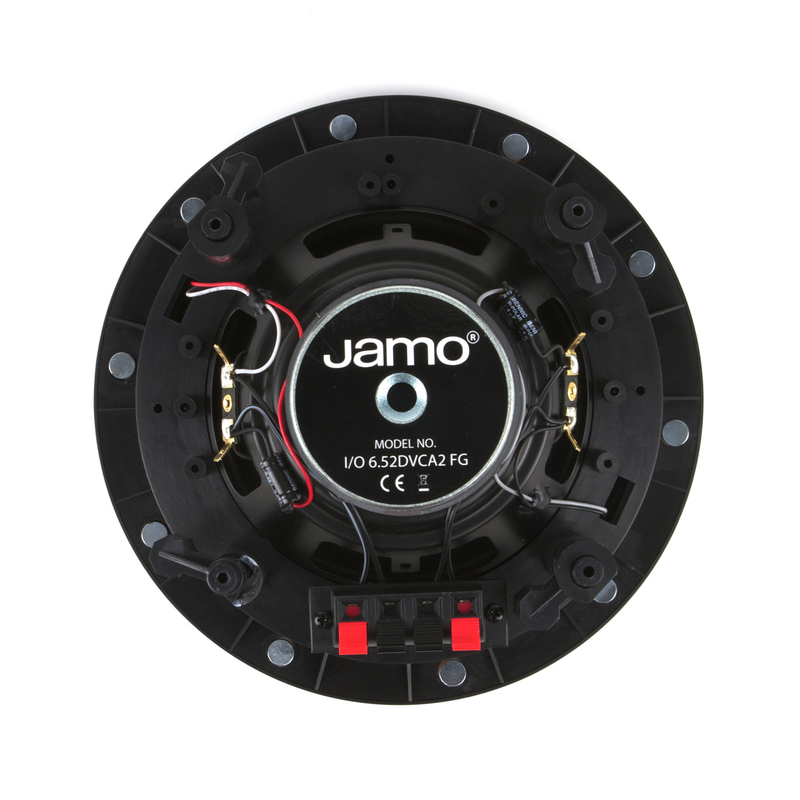 The I/O 8.52DVCA2FG is an excellent, value-priced in-ceiling sound solution.